The cruise lasts approximately 2 hours. 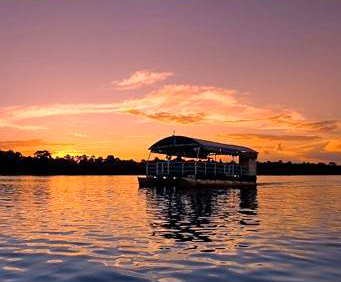 Experience the beauty of Florida's ecosystem at sunset with a Summer Sunset Cruise aboard the Manatee. 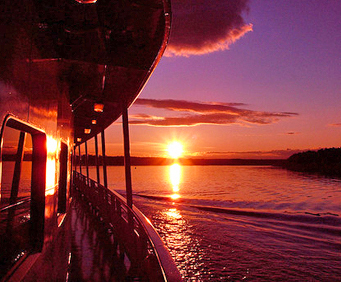 During this cruise, you'll find relaxing sights of Florida's mangroves and wetlands at sunset, while taking in detailed information on the delicate area. A tropical sunset, moonlight vistas and the city lights of Florida will all combine during this journey for a unique and touching look at the already impressive natural lands of the Sunshine State. Educational, romantic and fun, the Summer Sunset Cruise can offer a variety of scenarios to a variety of Daytona Beach visitors. Price includes narrated cruise along the Indian River. All cruises are guided by a US Coast Guard Licensed Captain. See schedule for exact dates and times. Cruise is approximately 2 hours. Cruise is appropriate for all ages. 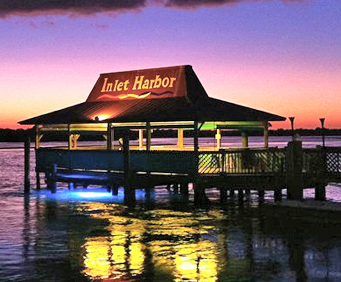 Cruise departs from the Inlet Harbor Restaurant & Marina, which offers free parking. 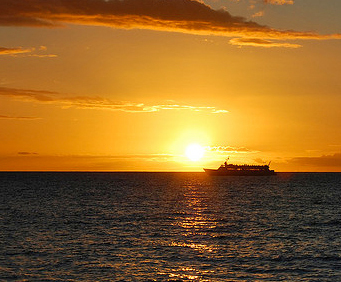 This cruise offers some of the most amazing views!